With Thanksgiving just a couple of weeks away, I’m beginning my list of things to be grateful for this year. On the top of the list from my perspective as a La Plata County commissioner is the proposed budget for 2018 that our staff crafted. This financial plan, that shows that our hard work to cut the county’s operational costs through innovation, difficult choices and a little good luck, is paying off. Now, after several weeks of digging into the details of the proposed 2018 budget, Commissioners Lachelt, Blake and I have a clear vision for La Plata County’s 2018 revenue and spending plan. The very good news is that we will enter 2018 with a balanced budget, thanks in large part to a stroke of nearly unheard of good fortune on the health insurance front. While many employers are seeing double-digit increases in premiums for 2018, La Plata County will see no increase whatsoever (yep, that’s 0 percent increase)! There are several reasons for this, and they reflect the foresight and creativity of our staff. Several years ago, we saw the trends in health insurance and set about to address them proactively. We added plans that allow employees flexibility in their health care through Health Savings Accounts and high-deductible coverage, in addition to traditional plans. This way, La Plata County employees had choice in their health coverage that afforded the county savings. Then, in 2017, we introduced a partnership with Centura Health and Mercy to contract for low-cost primary care services through Mercy’s clinics. Finally, our claims for 2017 were low and, as a self-insured employer, this is the make-or-break factor in insurance costs. Our employees and their families were relatively healthy this year – perhaps owed in part to the new primary care clinic option – and the associated cost savings gave us some of the budgetary breathing room we needed for 2018. The 2018 budget was also aided by the dedicated countywide effort to find more efficient, effective ways of serving our citizens. Innovate La Plata, born from a 2016 training with Denver Peak Academy (the city and county of Denver’s internal innovation effort and training program) has shifted our county culture to one that empowers employees to seek and implement improvements to the way we do business. This has been critical in a number of ways. First, it helps our employees work better by eliminating unnecessary steps and hurdles that get in the way of serving citizens. This, in turn, improves your experience with our offices. Given our budgetary challenges, Innovate La Plata has become an instrumental component of our operations. Because we are actively managing vacancies and leaving many positions open after retirements and resignations, our staff county-wide is stretched thinner than ever. This means that there are fewer La Plata County employees – 19 positions will remain unfilled in 2018 – available to deliver services to you. That does not change our commitment to providing services, but it requires us to work smarter with fewer resources. Since Innovate La Plata began, our staff has completed 84 innovations across most county departments, resulting in major savings of both time and money. These improvements come from employees’ good ideas put into practice. Altogether the innovations have saved us $475,000 in actual dollars, and $223,000 in staff time. These range from large innovations – such as changing hiring practices for La Plata County Jail deputies to recruit non-certified personnel at a significant salary savings – to smaller ones like creating electronic land use permit documents that save staff and citizens time in the planning process. Taken together, the changes reflect our countywide commitment to do the very best we can with your tax dollars. Given our increasingly constrained property and sales tax revenue streams, these savings have been instrumental in helping us produce a workable budget for 2018. This has not come without difficult choices in spending, including eliminating contributions to the branch libraries at Sunnyside and Fort Lewis Mesa elementary schools, a 50 percent reduction in our contributions to local nonprofit agencies that do important work for our community and reducing hours at the Bayfield Motor Vehicle branch office. Thanks to Durango School District 9-R for stepping in with funding to keep the branches open in 2018 and to the town of Bayfield for working with the county on rent reductions for the motor vehicle office, we have been able to minimize service level reductions. Going forward, we will turn to you all to help us understand what you want from La Plata County, and how we can invest as a community in that vision. We are all La Plata County and we need your help in shaping our future! 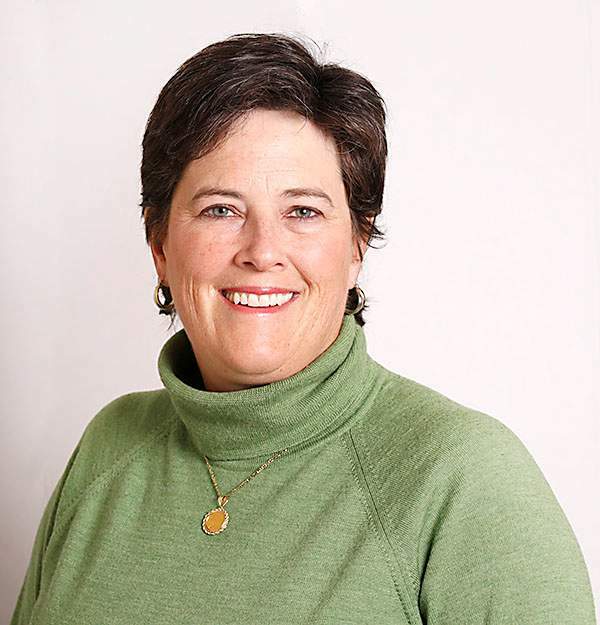 Julie Westendorff is chairwoman of the La Plata County Board of County Commissioners. Reach her at 382-6219.